← 20m band mini beam just 8ft wide? januari tot en met december 2012. December 11: The 409shop now has the new Baofeng radio but not the version with the black display. See at: BAOFENG BF-F8 PLUS Although the version number is the same, the display is not black. December 6: Baofeng new models are dubbed BF-F8 and BF-F8+. Especially the BF-F*+ with the black display looks very good. November 30: Update on the Wouxun KG-UV920R, the newer KG-UV920P. 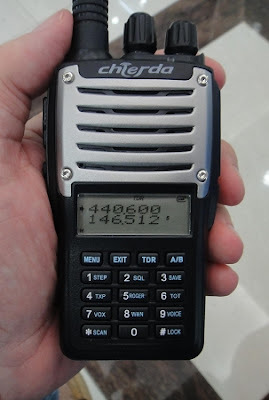 October 31: A new Chinese Brant and portable radio, namely the: Chierda CD-UV55. “We were impressed with the quality and operation of this new handheld. Very easy to program by hand without reading the manual. See for information: Brick O’Lore. User friendly design, excellent receiver, good audio on RX and TX. Harmonic suppression disappointing. Rotary encoders are unreliable. August 2: More Chinese Radios are comming! July 28: The Wouxun Soap is over. The price is now known, in the Netherlands 299 Euros, and on the internet at the 409th Shop, 375 US Dollars! or see the specs at the 409Shop). 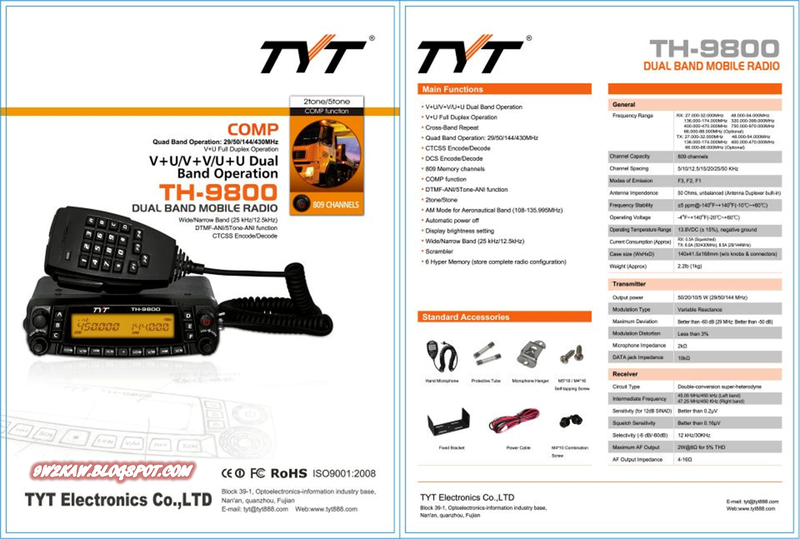 This price seems to be far too high, given that the announced Airband and HF band is no longer in the radio present, for that price you can buy in the Netherlands a YAESU FT-7900. Nore info on the Wouxun soap see: Wouxun KG-UV920R: Ed Drops A Bomb! June 27: A Dutch amateur radio shop now write also that the Wouxun radio will be available in July, see: www.bamiporto.nl (in the Dutch language). June 3: More “Wouxun” soap? See also the picture down here. May 28: No news from Dayton ! May 6: There are rumours that the radio wil be on the Dayton Hamvention in May. April 24: Now expected in the Netherlands in June, price is not yet known. De radio wordt nu verwacht in juni, prijs nog niet bekend. Februari: First photos of the Wouxen KG-UV920R found on www.locuradigital.com in Spain !